Loviisa, an idyllic port town between Porvoo and Kotka, is less than an hour’s drive east of Helsinki. The Swedish King Adolf Fredrik was very fond of the town and named it after his wife, Queen Lovisa Ulrika. The coastal town of Loviisa has a rich history. 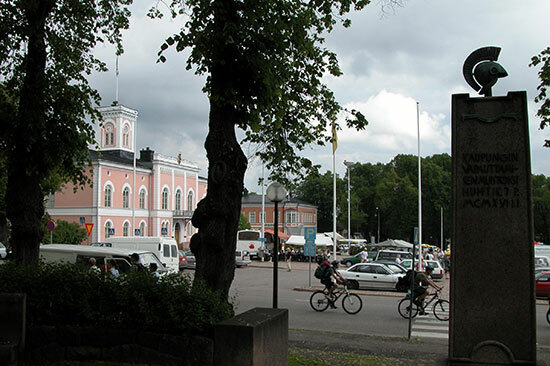 The bilingual (Finnish and Swedish) town has a remarkable main square surrounded by 19th century stately stone houses and immediately next to the centre, you will find the old town districts with their wooden houses, as well as gravel and cobblestone streets. On the western side, you will find the bold neo-gothic Church, while the fortresses built in the 18th century are on the eastern side. The sea stretches all the way to the town centre. The Laivasilta area is related to the sailing history of the region and is characterized by its red salt warehouses, making it a popular area for meetings and events during summers. Loviisa has nearly 16,000 inhabitants and it offers a wide range of cultural sites, rich natural beauty and plenty of activities. Only a short distance from the Loviisa town centre, you can admire manors and craftsmen’s workshops in the area of the Strömfors Iron Works. You can also learn about the interesting past of the area through the historical buildings and fortresses. The pristine natural environment offers the opportunity for swimming, picnicking, hiking and fishing, as well as playing golf. The high-quality accommodations and long list of cultural events optimize a guest’s stay. Loviisa, as a town, was founded in 1745 as a border and fortification town. Archeological findings suggest there has been some sort of permanent setlement around Loviisa area at least over 1000 years ago, when vikings still roamed around those parts. Warlike viking excursions into (the current) Finland tended to end badly for them, and they held great respect for the people there. Peaceful trade was safer, and viking routes often went along the coast, if not inland along rivers. The Archipelago museum showcases the history of the Itä-Uusimaa archipelago and boatbuilding. Open in summer. The Medival granite church in Pernaja is an architectural gem. Formally known as St Michael´s Church, it is in a style common in Finland and Sweden from the 13th to the 15th centuries. The splendid interior includes coats of arms of local nobility of bygone days. The beautiful contemporary stained glass windows are made by Lennart Segerstråle. The church is open during summer. 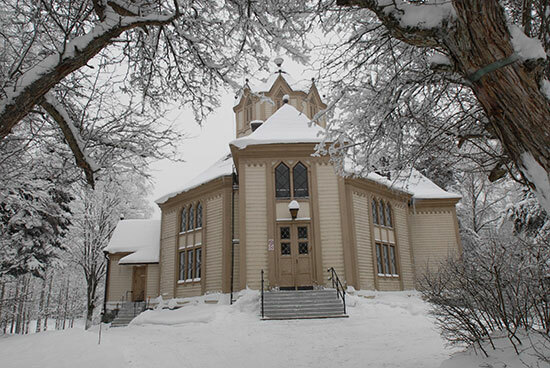 Built in the Neo-Gothic style, Loviisa Church was consecrated in 1865. It is called the mother of all road churches, and with good reason; you will literally come right up against it as you approach along the Helsinki road. There is a large parking lot outside the church. There were originally five estates on this property. There was eg salesman Sucksdoffs, salesman Aspelins and local register office secretary Otto Lindolms houses on the property. Approximately 1829 general governor ordered that the Town Hall must be renovated, at the same time there were also suggestions that a completely new Town Hall should be built. Nothing happened though. In 1854 provincial governor accepted Chiewitzs blueprints concerning the Town Hall, the blueprints however had still to be checked by the Senate. In 1855 Krim war and Loviisa fire postpone the building plans. The place of the Town Hall also changed, which led to changes in the blueprints. The building work started in 1859, and the building was ready in 1862. The sea has affected this port town’s history, trade and the income of its citizens. Laivasilta used to have 50 wooden salt warehouses loaded with imported goods from abroad. The red salt warehouses, which have been turned into spaces that host art exhibitions and events, give Laivasilta its historical atmosphere. 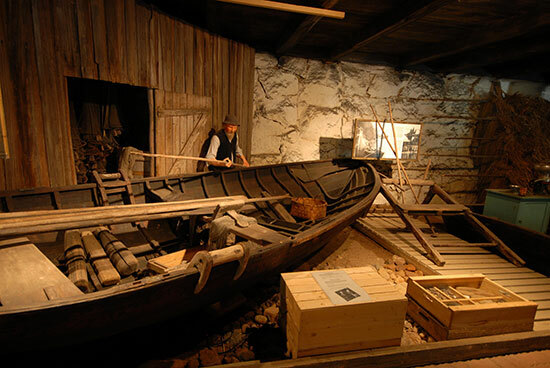 The Maritime Museum presents the rich sailing history of the region. The museum and the small galleries are open in summer. Cruises to Svartholm depart from Laivasilta. The Loviisa guest harbour Laivasilta Marina is known for its authentic and romantic atmosphere. Svartholma Sea Fortress is located at the entrance to Bay of Loviisa. It is a sister fortress to Suomenlinna in Helsinki. The construction of the fortress started in 1748. Svartholma is a popular recreational destination for families. In the summer, visitors can visit Svartholma by boat, which leaves from Laivasilta. Guided walking tours and children's adventures are some of the activities available on the island. During the exciting children's adventure, you can search for the lost archives of Svartholma. The island offers a summer café and the port has berths for 70 guest boats free of charge. The mansard roofed stone house built in 1755 was inaugurated as the town museum in 1962. Built under supervision of the master brick layer S. Berner, according to the Ehrensvärd´s blueprints, the building has been the residence of the Commandant; headquarter for the Svartholms Russian engineer commando, used by several schools, as well as being used as rented apartments. There are fluctuating exhibitions in the museum the whole year around. 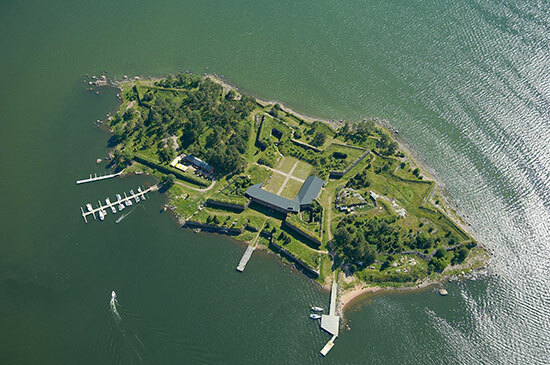 Designed by Colonel Augustin Ehrensvärd, these fortifications were built in the mid- 18th century to protect what was then the eastern border of Sweden-Finland. Bastions Rosen and Ungern remain of the land fortifications. The iron works was founded in the westernmost junction of the Kymijoki River in 1698.The old craftsmen tradition is continued at the iron works, which makes the setting unique. 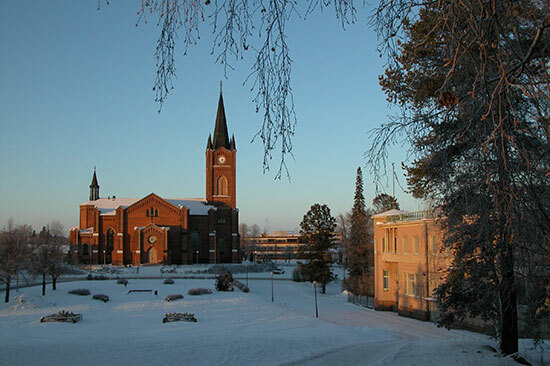 The Strömfors Iron Works district is characterized by handicrafts. Life in the centuries-old environment is indicative of the traditions of the region. The craftsmen work all year at the iron works and during summer small shops, the Forge museum, workshops and the church open their doors. The iron works district offers a relaxing holiday site all year long in a historical environment. The octagonal wooden church in Strömfors Iron Works was completed in 1771. The altarpiece in the church is a rarity,”Resurrection” by Helene Schjerbeck (1898). Ruotsinpyhtää Church is a road church and is open daily in summer.